Secure the best vessel, on the best date, at the best price with our special Christmas Party packages at great prices for groups. Cruise aboard our premier fleet of dining vessels for dinner as part of a shared public cruise, or charter your own vessel with a minimum of 30 guests. Public cruises: Christmas party specials from 16 November to 24 December 2018. Shared cruises (minimum 4 guests). Buffet or à la carte dining. If you are wondering where to take your spouse, partner or friend for a date on Valentine's Day, on an anniversary, or simply on any day you'd like to be a little bit different and a little bit more special, here are the 8 best dates you can have in Sydney: 1 Fancy Restaurant with 360-degree Views Take your loved one not just in any other fancy restaurant, but in one which affords you a fantastic panoramic view of Sydney. Offhand, there are two contenders in mind: the O Bar and Dining, which is 47 floors above street level, and the Sydney Tower restaurants, where you get a choice between buffet and bar dining both with a stunning 360-degree view of the city. O Bar and Dining is located in Australia Square at 264 George Street, where a 2-course dinner is set at $56 per person. On the other hand, there are two revolving restaurants in Sydney Tower: the Sydney Tower Buffet and 360 Bar and Dining. Buffet starts from $55, while dining at 360 Bar costs $50 per person for a 2-course meal with a glass of house wine. View of the Sydney Opera House at night from The Glenmore, photo from restaurant website. 3 Fancy Restaurant with Harbour Views We've got to admit that the Sydney Harbour with its iconic Harbour Bridge and the Opera House makes a good backdrop for a meal with a special someone. There are many great (and expensive) restaurants near the Harbour that gives you the ambience, but Aria is quite popular. Entree starts at $36 while mains start at $46. Restaurants in and around the Circular Quay and near the Opera House are quite expensive. There is, however, an alternative that won't break the wallet yet offer perhaps an even better view of the Harbour. From The Rocks, walk across the Harbour Bridge. Take the walk as an opportunity to start a great conversation, and you can stop midway to admire the amazing view of the Opera House, the Circular Quay and the city. You also have the option to climb up Pylon Lookout, which is 200 steps and 87 metres above sea level. Access to the lookout is through the pedestrian pathway on the eastern side of the bridge from the city side, and there is an admission fee of $13 per person. Enjoy a romantic dinner with your special someone on board one of the many dining cruises at the Sydney Harbour. Some of the well-known providers are Captain Cook, where a dinner cruise starts at $89 per person, and Magistic Cruises which offers a dinner cruise for $55 per person. 6 Dinner After Cruise If a Harbour cruise will unnecessarily stretch the budget, a good alternative is to take the ferry from the Circular Quay to Manly. Yes, it's public transportation, but you'll get up close and personal views of the Harbour Bridge and the Opera House. The trip won't ever be dull, and a good conversation will make it seem just like a breeze. Once in Manly, get seated at one of the restaurants nearby. If you fancy Chinese food, there is Manly Phoenix which is popular for its yum cha. It is located at 75 The Corso. Otherwise, Hugo's at Manly Wharf has superb waterfront views and great food. It more than compensates for the budget cruise that was the ferry. Entree starts at $18 and mains start at $20. 7 Fly and Dine If you have the money to spend and you want to impress, fly and dine at Jonah's. This service is offered by Sydney Seaplanes, which takes you in a mid-afternoon seaplane flight (yes, take off and land on water!) from Rose Bay to a private tasting of a bottle of 'Ruinart' Champagne with antipasto plate at Jonah's, followed by a 3-course dinner a la carte. You also get a chauffeur-driven car transfer back to the city after dinner. This high-rolling experience, however, comes with a $510 per person price tag and is the most expensive option in this list. Hop on a sea plane, get a stunning aerial view of Sydney, and end up pampered at Jonah's, photo from Sydney Seaplane website. 8 Drive and Dine If you are afraid of heights and flying in a small plane, or you just don't want to spend so much on a dinner date, you still have the option of dining out at Jonah's less the sea plane. You can go there by public transportation, or if you are not planning to drink alcohol, you can simply drive. Jonah's is located at 69 Bynya Road, Whale Beach, and is a 50-minute drive from the city. It is one of the most stunning ocean retreats in Australia, which has both a restaurant and a boutique hotel. Set dinner starts from $79 for a 2-course meal. Christmas in Sydney is celebrated sunny-side up, with surf and sand trumping snow and sleigh bells. 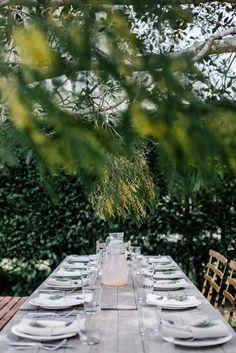 It’s no wonder that traditional Christmas Day lunch and dinners at home are becoming a thing of the past as people simply want to be outdoors and enjoy the holiday, without having to slave over organizing a get together or cooking a feast! So, are you running out of Christmas lunch ideas or dinner ideas in Sydney? Why not plan a Christmas celebration for family and friends aboard a Sydney Harbour cruise for a fantastic Christmas lunch or dinner party? Dressed up in Christmas colours, these luxury vessels set the tone with live variety entertainment, jazz music and lively carols. You will also be treated to a traditional Christmas feast that includes roast turkey, glazed ham and fresh seafood with an array of salads and desserts. And, don’t be surprised if Magic Santa sneaks up on you… after all, what’s Christmas without Santa! If you had a corporate Christmas party idea in your mind, these cruise venues will also be ideally suited. For a large Christmas party cruise, you could choose to book a private deck; if the numbers are greater than the permitted limit on the private decks, you have the option of chartering the entire vessel and tailoring the inclusions to suit your budget and requirements! So, book a Christmas Party cruise for a fantastic celebration on Sydney Harbour! Find the best treats and best bargains at Sydney restaurants to see the fireworks from on 31 December. Want to catch the world-famous Sydney fireworks and ring in the new year with a bang but unsure of where to go? As part of our , we've highlighted the best restaurants to treat yourself to a final 2018 dinner at, followed by the unforgettable midnight fireworks show. Whether you are looking for something fancy or more budget-friendly, this list will guarantee you front-row seats to the spectacular display and help you celebrate the new year in style. New Year's Eve Sydney restaurant packages to book now: Sydney Tower Buffet: New Year's Eve Dinner with Drinks from Viator Spend six hours atop Sydney on New Year's Eve dining on a 55-dish buffet, drinking wine, beer and soft drinks and watching the fireworks over Sydney Harbour when the clock strikes midnight..
• Dine on 55 dishes in the buffet dinner of international cuisines • Drink unlimited wine, beer and soft drinks New Year's Eve party at Sydney Opera Hosue with food and beverages from Viator See all the actions for New Year's Eve whilst enjoying some French Champagne, beers and wines along with canapes and substantial grazing stations at Portside Restaurant which sits under the Sydney Opera House. • Live entertainment with Sydney's hottest DJs • Unobstructed views of Sydney's fireworks Luxury New Year's Eve dinner and drinks package at King Street Wharf from Cudo Enjoy a luxurious waterfront venue for a New Year's Eve party package at Manjit's at The Wharf and see the amazing fireworks across the Sydney skies. • Four-course a la carte menu • Unlimited soft drinks, juices and New Year mocktails Best restaurants to catch the New Year’s Eve fireworks from If you are looking to splurge, consider making a reservation sooner rather than later at these restaurants before they fill up. Then, get ready for a sensory experience like no other, with multi-course degustation menus, curated wine lists and top-notch service. () Search Restaurant Location Price for dinner and midnight fireworks Are drinks included? Book Botanic Gardens Restaurant Circular Quay $550 Yes Sydney Tower Buffet City $550 Yes Studio Sydney Tower City $699 Yes 360 Bar and Dining City $699 Yes Cafe Sydney Circular Quay $880 Yes ARIA Circular Quay $1,350 Yes The Gantry Walsh Bay $699 Yes The Glenmore The Rocks $349 Yes Cafe Mix The Rocks $370 Yes Opera Bar Circular Quay $495 No The Calyx at Royal Botanic Gardens Royal Botanic Gardens $595 Yes O Bar and Dining City $545 Yes Dockside and L'Aqua Darling Harbour and Cockle Bay Wharf $195 (Dockside), $255 (L'Aqua) Yes Aqua Dining Milsons Point $995 Yes Opera Kitchen Circular Quay $750 Yes Bennelong Circular Quay $1,300 Yes Quay The Rocks $2,000 Yes Cruise Bar The Rocks $369 Yes Banksii Barangaroo $160 Yes More info about these New Year's Eve restaurant packages: 1. ARIA Diners have been coming to ARIA for over 15 years for the stunning views of the Sydney Harbour Bridge and the Opera House. You are guaranteed a meal as breathtaking as the views at this award-winning and two hatted restaurant. Sample a menu showcasing the best of seasonal ingredients and extensive list of boutique and well-known wines from all over the world. Address: 1 Macquarie St, Sydney Opening hours (31 December): Seatings from 5pm New Year’s Eve food packages: • $350 Pre-Theatre Dining includes a 3-course menu (adults) • $150 Pre-Theatre Dining includes a 3-course menu (children) • $1,350 NYE Dining Package includes a canapes and premium beverage package followed by a 5-course menu (adults) • $650 NYE Dining Package includes canapes and premium beverage offerings followed by a 5-course menu (adults) 2. Botanic Gardens Restaurant For something a little different give the Botanic Gardens Restaurant a try. This picturesque restaurant is nestled in the Royal Botanic Gardens and is one of the best vantage points with views of the fireworks. With a wide verandah and a classy, modern Australian menu, kicking off with canapés this garden party just might be your new favourite place to herald in the new year. Address: Royal Botanic Gardens, Mrs Macquaries Road, Sydney Opening hours (31 December): 6pm arrival for a 6:30pm start New Year’s Eve food packages: • $550 package includes a 9-course degustation dinner and free-flowing beverages 3. Cafe Sydney This rooftop restaurant atop Customs House has million-dollar views, a cocktail lounge and a fine seafood spread. Seafood and meats are locally sourced and the wine list is extensive. Book early for a seat on the balcony and treat yourself and loved ones at one of Sydney’s most iconic dining destinations. Address: Level 5, Customs House, 31 Alfred St, Sydney Opening hours (31 December): Arrivals from From 7pm-9:30pm. Closes at 1am. New Year’s Eve food packages: • $880 - Six-course dinner with matching wines. 4. Sydney Tower Buffet The Sydney Tower Buffet affords you plenty of options day and night to ring in the New Year for a budget price. Towering above the city, it boasts one of the most panoramic views of the city and its buffet indulgence is ideal for the whole family. Address: Level, 4, Westfield Centre, corner of Pitt and Castlereagh Streets, Sydney Opening hours (31 December): 7:30pm–12:30am New Year’s Eve food packages: • $550 (adult) and $250 (child) for a dinner seating and unlimited buffet including seafood specials, including a sushi and sashimi station, plus beverages and entertainment from 7:30pm-12:30am 5. Studio Sydney Tower 86 levels above ground, Studio Sydney Tower is an intimate space with an extraordinary view of the cityscape. It's an 18+ venue only - so clearly it's geared toward the midnight fireworks watchers - and goes all out with multi-course menus, free-flowing beverages and live entertainment. Address: Level 4, Westfield Centre, corner of Pitt and Castlereagh Streets, Sydney Opening hours (31 December): 7pm–1am New Year’s Eve food packages: • $699 for a dinner seating and 6-course meal with matching wines, champagne and canapes on arrival, cheese and charcuterie and live band. 6. 360 Bar and Dining This elegant restaurant is within Sydney’s tallest structure and offers diners 360-degree revolving views of the city’s famed skyline. Indulge in modern Australian cuisine with a French twist and top-notch service. The stunning dining room with its mahogany finishes is the perfect setting for parties, intimate dinners and New Year’s Eve celebrations. Address: Level 4, Sydney Westfield Centre, 100 Market St, Sydney Opening hours (31 December): 7pm–1:00am New Year’s Eve food packages: • $699 per person (18+ only) - Champagne and canapes on arrival followed by a 6-course degustation menu with matching wines, live music and cheese and charcuterie 7. Aqua Dining Located above the North Sydney Olympic Pool, this elegant restaurant serves up a contemporary Italian menu and sweeping views of the harbour. Pastas are made fresh in-house and only the best seasonal ingredients are used in the creative menu. Pair your mains with an extensive wine list for an unforgettable dining experience. Address: Paul St and Northcliff Street, Milsons Point Opening hours (31 December): 7:00pm onwards New Year’s Eve food packages: • $995 for a multi-course degustation menu and premium beverages 8. The Calyx One of the newest function venues in the Royal Botanic Gardens, the Calyx sits high above the city offering sweeping views of the sky and its fireworks display. For New Year's a garden party takes place amongst its carnivorous plants and artworks with gourmet meals and free-flowing drinks. Address: Royal Botanic Gardens, Mrs Macquaries Road, Sydney Opening hours (31 December): 7:30pm - 12:30am New Year’s Eve food packages: • $611.34 for a gourmet dinner, free-flowing drinks and canapes. This is an 18+ only event. 9. Quay Peter Gilmore’s three hatted restaurant is the most decorated in Australia – and rightly so. The menu is daring, fun and innovative featuring the best of seasonal produce. Diners rave about the famed Quay Snow Egg dessert, top-notch service and full views of the harbour and quay that will make you fall in love with Australia all over again. Address: Upper, Overseas Passenger Terminal, Hickson Rd, The Rocks Opening hours (31 December): 7.30pm onwards New Year’s Eve food packages: • $1,000 dinner a glass of champagne on arrival and at midnight and a seven-course menu with matching premium wines. 10. O Bar and Dining Contemporary cuisine with a healthy twist is what you can expect from O Bar and Dining this New Year's Eve. Make no mistake though, despite its healthy influences the menu does not compromise on flavour or freshness with roasted eastern rock lobster tail, dry aged Tinder Creek duck breast and smoked hay ice cream all ready to be licked off the plate. With its unique circular dining room on the 47th floor of Australia Square and a revolving level lounge bar, a meal here is an unforgettable experience. Address: Level 47, Australia Square, 264 George St, Sydney Opening hours (31 December): 7pm-late New Year’s Eve food packages: • $695 includes 8 course degustation and a glass of NV Louis Roederer Brut Premier on arrival with restaurant seating • $545 includes rolling tapas and a glass of NV Louis Roederer Brut Premier on arrival with lounge seating 11. Dockside and L'Aqua Both owned by the Dockside Group and boasting waterfront views of the habour, Dockside and L'Aqua offer an enviable opportunity to capture the New Year's Eve fireworks from their balconies. Kids are welcome and DJs play the evening long. There's often a theme in play with this year's being masquerade. Address: Cockle Bay Wharf, Sydney Opening hours (31 December): 7pm–1:00am New Year’s Eve food packages: • Dockside: $195 per adult / $75 per child for canapes on arrival, share platters, a 3-course meal and 5.5 hour premium beverage package. • L'Aqua: $255 per adult / $75 per child for canapes on arrival, share platters, a 3-course meal and a 5.5-hour premium beverage package. 12. Opera Kitchen Opera Kitchen is one of Sydney’s best loved eateries. Situated on the popular strip along the concourse of the Opera House, this fancy food court has something for everyone. The venue is family-friendly and accommodates groups of all sizes. The views are stunning, the food is affordable – there is no better place to be this New Year’s Eve. Address: Bennelong Point, Sydney Opening hours (31 December): 7pm–1am New Year’s Eve food packages: • $750 per person includes table on the lower tier, glass of Louis Roederer Brut Champagne on arrival and roving canapes and entrees • $1,300 per person includes VIP access to the Opera House, guaranteed seating with views of the fireworks and continuous food offerings and premium beverages throughout the night 13. Bennelong Bennelong is a stunning restaurant, from its menu offerings to the dining space. Helmed by executive chef Peter Gilmore, the menu is sophisticated with an unmistakable Australian flair. Bennelong is easy on the eyes and wallet, so whether you are sitting by the window or appreciating the architecture within, this is one restaurant you would visit again and again. While there’s no details on this year’s offering yet, we have included last year’s dining experience as an idea of what to expect this time around. Address: Sydney Opera House, Bennelong Point, Sydney Opening hours (31 December): 7:00pm onwards New Year’s Eve food packages: • $1,300 per person for the cured and cultured counter dining event • $1,590 per person for restaurant dining which canapes, a 5-course menu with matching wines and champagne at midnight 14. The Gantry The Gantry is lauded in more ways than one. It's a hatted restaurant that has pristine views over the Harbour, making it THE place to celebrate the New Year with a drink in hand and a meal in your stomach. This year's delight is a six-course tasting menu, unlimited drinks and access to the NYE @ Pier One Party. Address: 11 Hickson Road, Walsh Bay Opening hours (31 December): 6:00pm onwards New Year's Eve food packages: • $699 per person for the six-course degustation menu Best (more) affordable restaurants to see the New Year’s Eve fireworks For something a little more laid-back and friendly on the wallet this New Year’s Eve, consider these more affordable options. Make no mistake that these restaurants still offer great views of the fireworks, delicious food and impeccable service for a fraction of the above prices. 1. Cafe Mix Cafe Mix Sydney is all about freshness and variety. The restaurant’s full gourmet buffet offers Asian and Japanese selections, a live cooking station and the ever popular dessert section with chocolate fountain. Located in Shangri-La Hotel with harbour and city views, this is a great choice for families and the budget-conscious. This year's event includes two sittings, one from 6-9pm for $200 per person and the second from 9pm-midnight for $370 per person. The meal includes a seafood buffet of Sydney's freshest and views of the fireworks from the cafe's third floor vantage point. Address: 176 Cumberland St, The Rocks Opening hours (31 December): 6pm onwards New Year’s Eve food packages: • $200 per adult and $120 per child for the first seating (9pm fireworks) including a gourmet seafood buffet • $370 per adult and $120 per child for the second seating (midnight fireworks) including a gourmet seafood buffet 2. Opera Bar Opera Bar is the place to be for a relaxed night on the harbourside. Dine on food all night long set to the backdrop of live entertainment that will have you dancing the night away and starting the new year with a bang. The event is 18+ only and tickets include entry, food and entertainment. Address: Lower Concourse, Sydney Opera House, Macquarie St, Sydney Opening hours (31 December): 6pm-2am New Year’s Eve food packages: • $495 per person includes VIP entry to Sydney Opera House and food all night long 3. Cruise Bar One of the most coveted positions to ring in the new year in Sydney has to be the rooftop of Cruise Bar. Housed on the waterfront under the Harbour Bridge and overlooking the Opera House, it really doesn't get too much better than this. GA tickets can get you in the door onto the lower levels however VIP tickets give you access to the rooftop and a 3-hour food and beverage package. No matter which tier you've booked, you'll receive a glass of sparkling on arrival and be entertained by local DJs 45.Stafford Brothers. Address: Overseas Passenger Terminal, Circular Quay West Opening hours (31 December): 6pm-2am New Year’s Eve food packages: • $369 per person for food and drinks from 6-9pm including Pol Roger NV Champagne and access to all floors until 2am 4. The Glenmore The Glenmore Hotel is located within the heart of The Rocks and has been an Aussie icon since 1921. Locals and tourists alike flock to the famed rooftop bar for cold beers, gourmet meals and postcard-worthy views. The Glenmore is proof that we do not need a second mortgage to celebrate the new year in style. Address: 96 Cumberland St, The Rocks Opening hours (31 December): From 7pm New Year’s Eve food packages: • $349 per person for a 10 piece canape package and 4 hours of beverages from 7pm-11pm. You'll also get a glass of GH Mumm Cordon Rouge to toast the new year at midnight 5. Banksii One of the newest restaurants to enter the market, Banksii offers water views from its home in Barangaroo. It's also one affordable option with a six-course banquet putting you back just $160 per person. Want to catch the fireworks? While you might be able to catch a few sparkles from the restaurant, your best bet is to book priority access to Barangaroo Reserve with the restaurant. The cost? Just $44 more. Worth it. Address: Shop 11, 33 Barangaroo Avenue, Barangaroo Opening hours (31 December): TBC New Year's Eve food packages: • $160 per person for a six-course banquet, including cocktail on arrival. You can also add on tickets to Barangaroo Reserve with Banksii for $44 per person. Stef is the Travel Editor at finder.com.au and has been writing about travel for over a decade. She's visited over 50 countries and has had some incredible experiences, including hot air ballooning over Cappadocia, hitchhiking across Romania and seeing the Northern Lights (twice!). And while she’d never say no to a luxury escape, she's far more likely to stretch her travel dollars as far as they can go by keeping her ear to the ground for unbeatable travel bargains. And she'll tell you all about them, too! Stef has had articles featured on Travel Weekly, Escape and Hostelworld. You are about to post a question on finder.com.au: • Do not enter personal information (eg. surname, phone number, bank details) as your question will be made public • finder.com.au is a financial comparison and information service, not a bank or product provider • We cannot provide you with personal advice or recommendations • Your answer might already be waiting – check previous questions below to see if yours has already been asked I accept Hi Julie! Thanks for visiting finder. While we can provide you with general information, please note that we’re a product comparison website and we do not represent any company we feature on our site. We’re here to assist you in your buying decision process hence we cannot recommend product/service that is rightfully fit for you. You may choose from the restaurants above and pick one that is convenient location-wise, budget-wise and one that will house your party for NYE 2018. Hope this clarifies. Cheers, Nikki Hi Germaine, Thanks for your question. Unfortunately, we don’t currently feature any sale for Dudley Page Reserve. Their tickets start from just $15 a pop for kids. They also have tickets from $35 for one adult and up to one child, $15 for concession (additional children younger than 16, pension card holders, aged pensioners and registered carers). You can also add on a hamper from $100 (with dinner for two and a bottle of wine). Cheers, Anndy Disclaimer - Hive Empire Pty Ltd (trading as finder.com.au, ABN: 18 118 785 121) provides factual information, general advice and services on financial products as a Corporate Authorised Representative (432664) of Advice Evolution Pty Ltd AFSL 342880. Please refer to our . We also provide general advice on credit products under our own Credit Licence ACL 385509. Please refer to our for more information. We can also provide you with general advice and factual information on about a range of other products, services and providers. We are also a Corporate Authorised Representative of Countrywide Tolstrup Financial Services Group Pty Ltd.
ABN 51 586 953 292 AFSL 244436 for the provision of general insurance products. Please refer to our . We hope that the information and general advice we can provide will help you make a more informed decision. We are not owned by any Bank or Insurer and we are not a product issuer or a credit provider. Although we cover a wide range of products, providers and services we don't cover every product, provider or service available in the market so there may be other options available to you. We also don't recommend specific products, services or providers. If you decide to apply for a product or service through our website you will be dealing directly with the provider of that product or service and not with us. We endeavour to ensure that the information on this site is current and accurate but you should confirm any information with the product or service provider and read the information they can provide. If you are unsure you should get independent advice before you apply for any product or commit to any plan. (c) 2018. finder.com.au is one of Australia's leading comparison websites. We compare from a wide set of major banks, insurers and product issuers. finder.com.au has access to track details from the product issuers listed on our sites. Although we provide information on the products offered by a wide range of issuers, we don't cover every available product. You should consider whether the products featured on our site are appropriate for your needs and seek independent advice if you have any questions. Products marked as 'Promoted' or "Advertisement" are prominently displayed either as a result of a commercial advertising arrangement or to highlight a particular product, provider or feature. Finder may receive remuneration from the Provider if you click on the related link, purchase or enquire about the product. Finder's decision to show a 'promoted' product is neither a recommendation that the product is appropriate for you nor an indication that the product is the best in its category. We encourage you to use the tools and information we provide to compare your options and find the best option for you. The identification of a group of products, as 'Top' or 'Best' is a reflection of user preferences based on current website data. On a regular basis, analytics drive the creation of a list of popular products. Where these products are grouped, they appear in no particular order. Where our site links to particular products or displays 'Go to site' buttons, we may receive a commission, referral fee or payment. We try to take an open and transparent approach and provide a broad based comparison service. However, you should be aware that while we are an independently owned service, our comparison service does not include all providers or all products available in the market. Some product issuers may provide products or offer services through multiple brands, associated companies or different labelling arrangements. This can make it difficult for consumers to compare alternatives or identify the companies behind the products. However, we aim to provide information to enable consumers to understand these issues. Providing or obtaining an estimated insurance quote through us does not guarantee you can get the insurance. Acceptance by insurance companies is based on things like occupation, health and lifestyle. By providing you with the ability to apply for a credit card or loan we are not guaranteeing that your application will be approved. Your application for credit products is subject to the Provider's terms and conditions as well as their application and lending criteria. Please read our website for more information about our services and our approach to privacy. Christmas Party-Banquet Dinner And Dance At Five Dock, SaturdaySaturday, December 14, 2013 - 6:00 pm. One Day Bus Trip To The Hunter Valley SaturdaySaturday, October 26, 2013. Valentine’s Get Together At CBD Sydney, FridayFriday, February 14, 2014 - 6:00 pm. 1 2 3 » We are one of the most established dating agencies in Sydney. We have been in this industry for over 30 years. We understand how important it is for you to get a compatible partner for your life and hence we organise these events. Contact us for the singles function in Sydney We have an extensive questionnaire which helps us better understand our customers and their preferences. This, in turn, helps us locate someone who matches the ‘compatibility criteria’ perfectly. 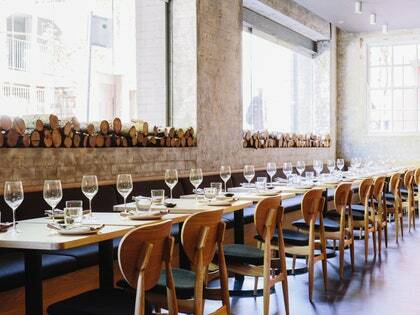 Best Dining in Sydney, New South Wales: See 350,669 TripAdvisor traveler reviews of 6,916 Sydney restaurants and search by cuisine, price, location, and more. Nowadays, the best restaurants in the city open up over Christmas to make the day all that more enjoyable. Sit back and relax; these are the 15 best places to have Christmas Dinner in Sydney. Sign Up. Get More The lunch boasts three courses by executive chef Stefan Brademann as well as bottomless champagne to keep the merriment flowing. Seating times available from 12.30pm-3.30pm.